Is ‘tropical paradise close to home’ your holiday wedding brief? 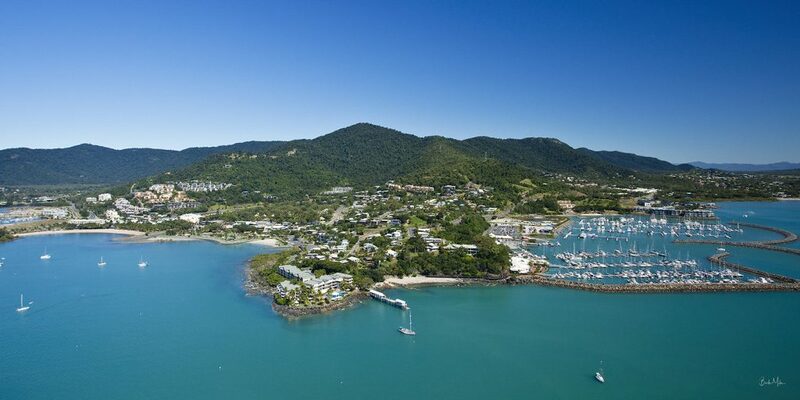 Then get to know Airlie Beach, the heartland of the Whitsundays. 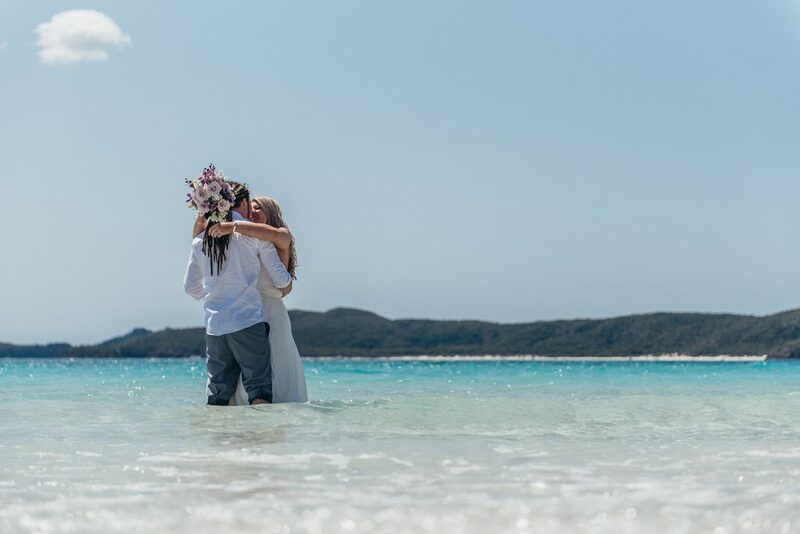 With a range of exquisite venues and locations unmatched in Australia, this resort town is perfect for intimate celebrations, beach ceremonies, winter weddings and unforgettable destination wedding weekends. Even elopements are perfectly catered for here! We get it, you’re already falling for the Whitsundays as a holiday wedding location. After all, it’s a tropical paradise in our own backyard, renowned for Insta-worthy celebrations. The weather is fabulous, the locals are lovely, the wedding suppliers are world class — and they understand laidback luxe like nowhere else in Australia. Big ticks all round. But have you explored the region’s wedding HQ, Airlie Beach? Extending a warm welcome to the couples who flock here from around the globe, Airlie Beach is a true Australian treasure. Located in the middle of the Queensland coastline, between Mackay and Townsville, visitors are drawn to the region’s gorgeous year around weather (23 – 26 °C in winter and a balmy but blissful 27 – 30 °C in summer), fabulous wedding and honeymoon options, and proximity to the enchanting Whitsunday islands. 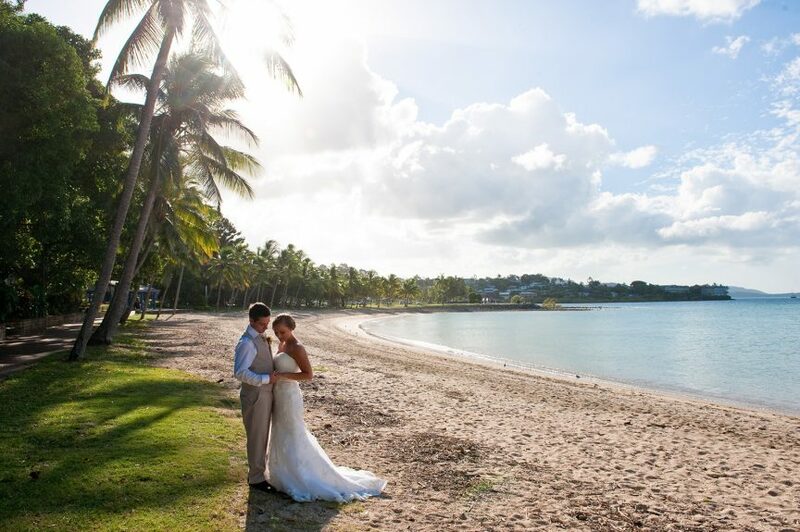 It’s no wonder Airlie Beach is often called the destination wedding capital of Australia. The main street is bookended by two world­ class marinas, with a burgeoning dining scene, luxurious accommodation, and a range of new and beloved wedding venues. For an intimate ‘I do’ or a week-long wedding celebration, this vibrant hub has everything you need. Whatever your idea of romance — resort-style luxury, private estate exclusivity, barefoot on the beach or sipping cocktails aboard a yacht — you’ll find a location to suit. In addition to the breathtaking Whitsunday island venues, Airlie Beach and its surrounds offers seaside pavilions at various locations as well as a swoonworthy selection of boutique resorts and exclusive-use venues. Even just at a glance, the local lineup will have you seriously swept away. For a waterfront location with a nautical touch, the Gold Anchor Marina Function Venue at Lure, Abell Point Marina is a must see. The magical overwater jetty at Coral Sea Resort will leave your guests gushing. And the tropical gardens and Coral Sea views at Heaven’s Gate estate are simply superb for ceremonies. Looking for your own piece of paradise? Try the recently reopened Earlando, set on 6, 000 acres of magnificent Whitsunday coastline, or the oceanfront Paradise Cove Resort which is fringed by white sand and coconut palms and only accessible by boat, seaplane or helicopter. For something totally unique and very romantic, Villa Botanica is set right on the edge of the Coral Sea and features a captivating marble ballroom, exquisite timber carving and exotic tropical grounds. Warming to the Whitsundays already? Well here’s more good news. Aside from the incredible natural beauty, they really know and love weddings here. 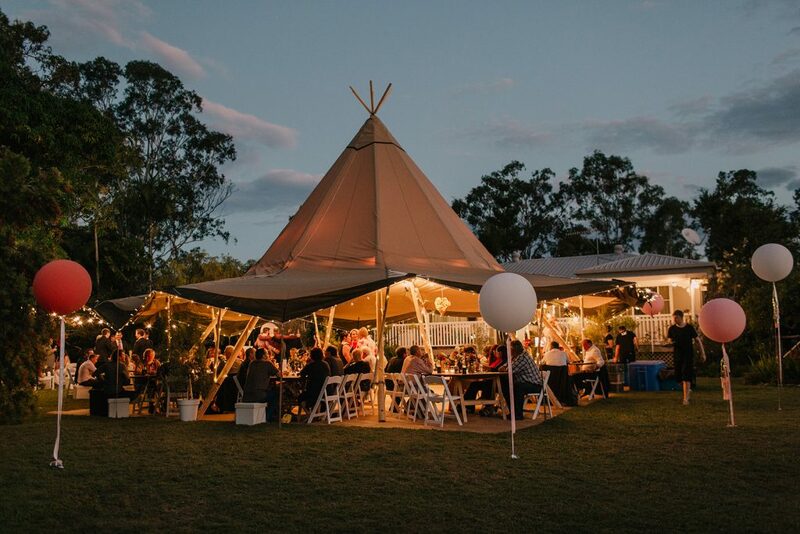 Home to a passionate community of hundreds of wedding experts (many based in Airlie Beach) the region hosts around 1000 celebrations each year. So you can plan and customise your experience with a local professional who really knows their stuff. 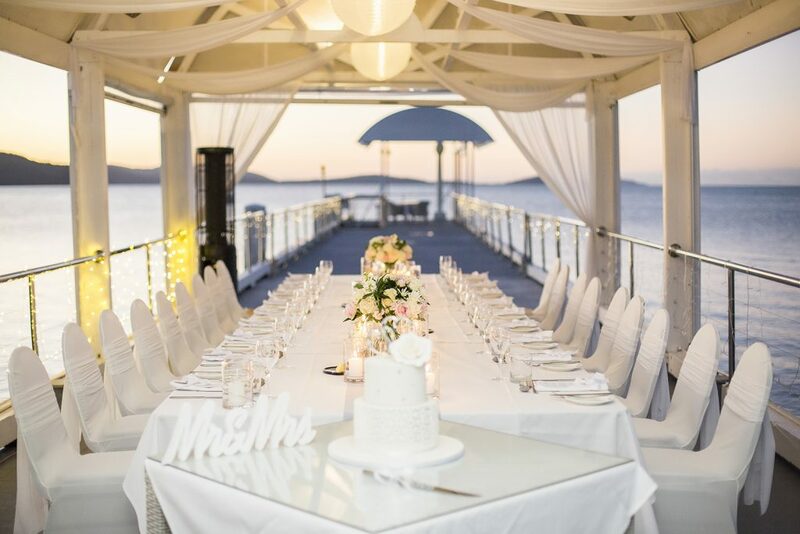 When it comes to wedding mantras, we can’t go past ‘seamless, stunning and stress free.’ If that sounds like you too, then make a beeline for The Wedding Planners Whitsundays. This talented team will delve into their little black book and take care of every dreamy detail with a bespoke package. Think everything from venues and vehicles to cakes and chandeliers to create a day that is personal, relaxed and utterly incredible. Cheers to that! One day in paradise just isn’t enough. Currently trending, and just made for the Whitsundays, buddymoons and wedding weeks are the modern way to celebrate. In fact, local wedding directory WeddingsWhitsundays.com reports that nine out of ten brides stay for a minimum of five nights in the region. 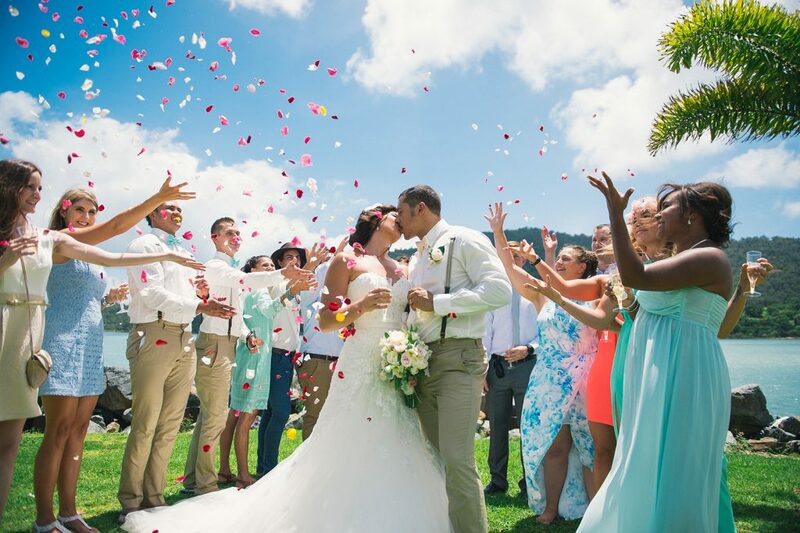 So if you’re planning on extending the festivities, Airlie Beach will come to the party with pre­ and post ­wedding activities, guest get­ togethers and a wide selection of accommodation, and of course, it’s a heavenly honeymoon hideaway. Visit breathtaking Whitehaven Beach, sail the islands, explore Airlie Beach Lagoon and enjoy a tour to the Great Barrier Reef— all from a relaxed resort village base boasting its own buzzing dining, club and live music scene. 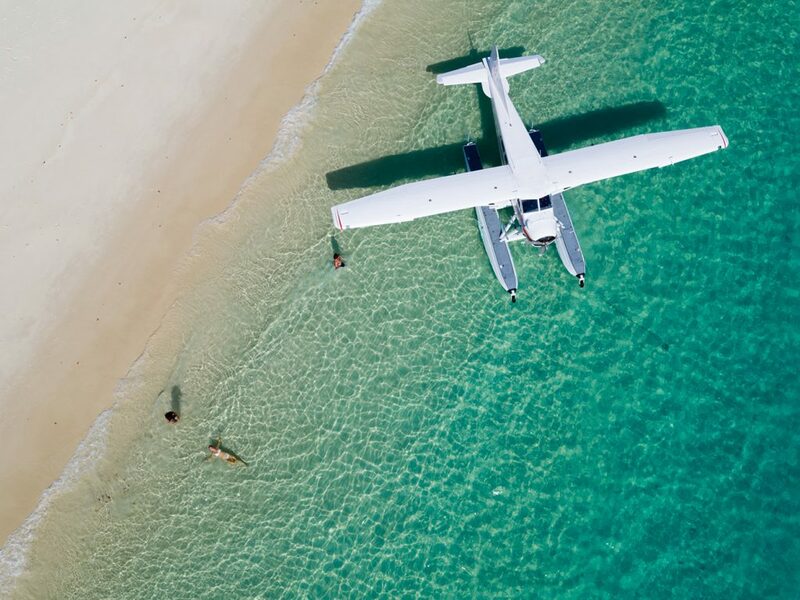 Take your pick with daily flights into Whitsunday Coast Airport and Hamilton Island Airport from all east coast capital cities. Then transfer to Airlie Beach via land, air or sea in under 40 minutes. Enjoy the complete Whitsundays experience from your Airlie Beach base.